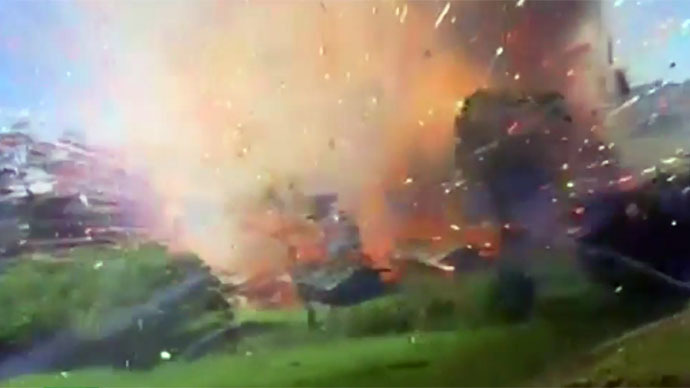 Not your usual fireworks display: two people have been injured, and 17 homes damaged, after a huge blast rocked a fireworks warehouse near the Colombian capital of Bogota. The blast in the town of Granada caused a massive blaze, which firefighters responded to. Rescue teams say they have been unable to approach the site close enough to find out if anyone else has been hurt. It is believed that about 10 tons of fireworks were kept at the facility. The warehouse was a part of a local family business: they have been organizing fireworks displays all over the country and abroad for the past 18 years. The cause of the incident remains unknown.